After takeoff from Palma de Majorca-Son Bonet Airport, while climbing to a height of 1,000 feet, the right engine lost hydraulic pressure. The captain decided to land immediately back onto runway. With its landing gear still retracted, the airplane belly landed less than 100 meters from the runway end. 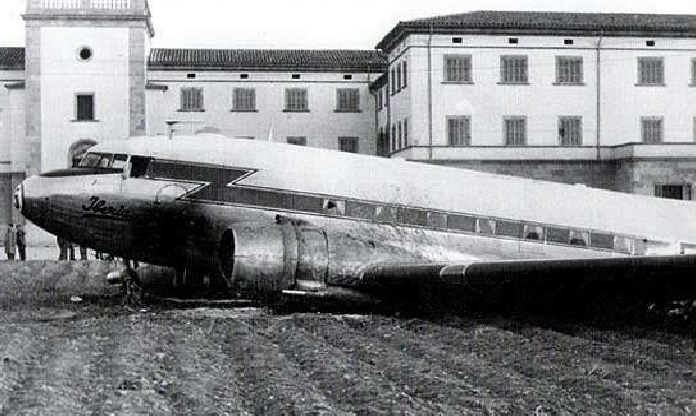 Unable to stop within the remaining distance, the airplane overran and came to rest. All 31 occupants were evacuated safely while the airplane was damaged beyond repair.